Inspired by feedback from our tour players and caddies, the Wilson Staff Pro Tour cart bags deliver convenience, function and design: generous golf ball pockets, velour pockets for valuables, waterproof pockets for cell phones and electronics - even insulated pockets for your favorite beverages. Easy-access tops make it a breeze to get clubs in and out of these beautiful golf bags. 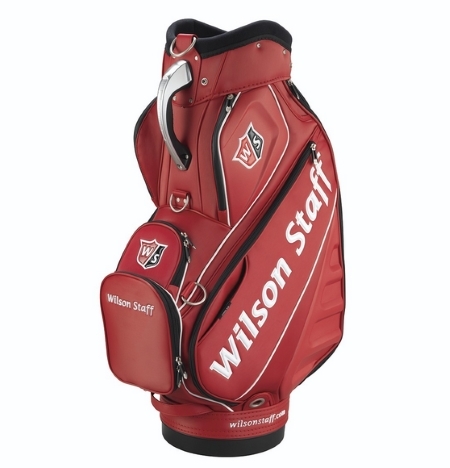 Look like a pro with your Wilson Staff Pro Tour Bag.